In November of 2011, ANSUL introduced the LVS liquid only vehicle fire suppression system. 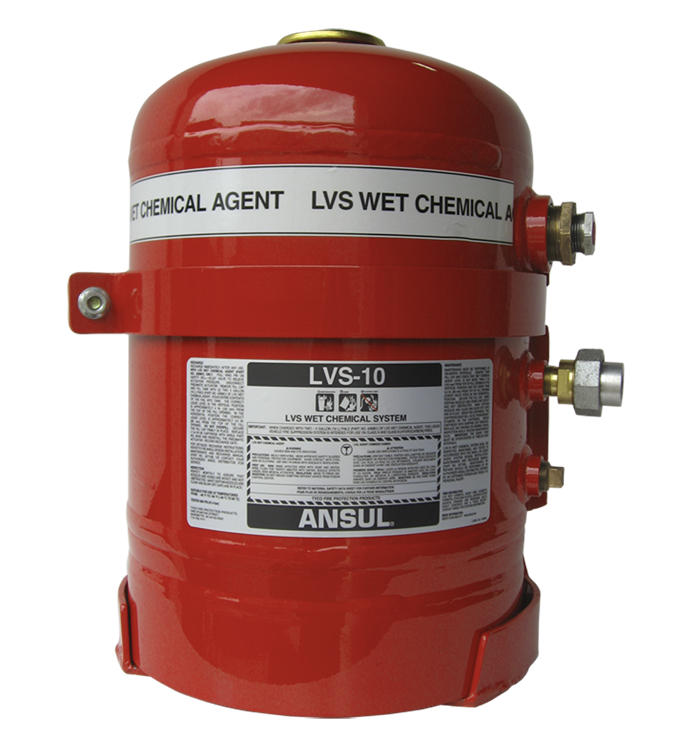 The global acceptance of the LVS stand alone system has been outstanding and now ANSUL is pleased to announce the addition of the LVS 10 gallon cylinder to its product line. The 8 nozzle LVS 10 tank with either vertical or horizontal mounting adds another option to the already versatile LVS product family. FM approved, the LVS 10 shares all the features of the other LVS systems including rugged construction, temperature ratings for extreme environments (- 40 to 140) and flexible and design options. You have questions? We have solutions. Contact your Interstate Fire representative today.